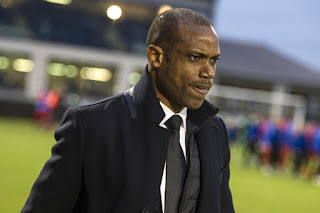 Nigerian coach Sunday Oliseh led Fortuna Sittard to their his first defeat in the Dutch second division in only their second match of the season as they fell to Jong Ajax, Completesportsnigeria.com reports. Oliseh’s side lost 4-2 to Ajax’s second team on Friday. Goals from Mateo Cassierra, Robert Muric and Dennis Johnsen for Jong Ajax ensured strikes from Perr Schuurs and Lisandro Semedo for Fortuna Sittard counted for nothing.